It’s called Operation TAG -IT. A new program started by Campus Safety Officer Susan McAnelly. McAnnelly’s goal is to prevent bicycle theft on campus. What is Operation TAG -IT? It’s a bike registry offered to students and faculty of Delta College. “Campus Police really have not had problems with bicycle thefts before,” said McAnelly. But prevention is the best way to avoid becoming a victim. Operation TAG-IT program is free to all students and staff who ride bikes to school. 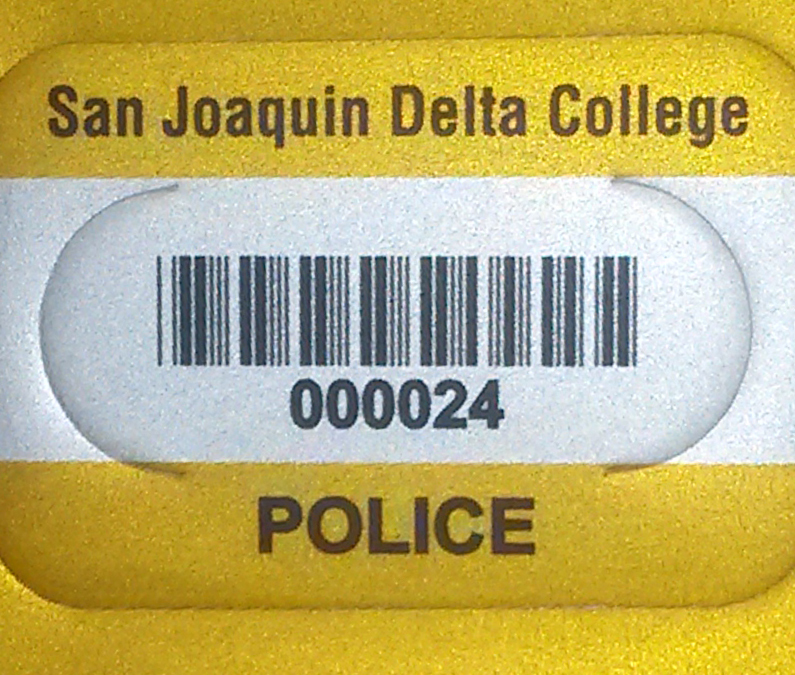 To register a bike with the system, contact officer McAnelly at the Delta College Police Department. A non-removeable alumnium tag will be placed on the bicycle being registered. Selina Mendoza is a Calworks employee who regularly bikes to work and recently had her bike tagged by McAnelly. Mendoza said she learned about the program from the email that campus police sent out over summer beak. This semester students, faculty and staff have had two chances to have their bicycles tagged, including Thursday, Sept. 12 during Club Rush.